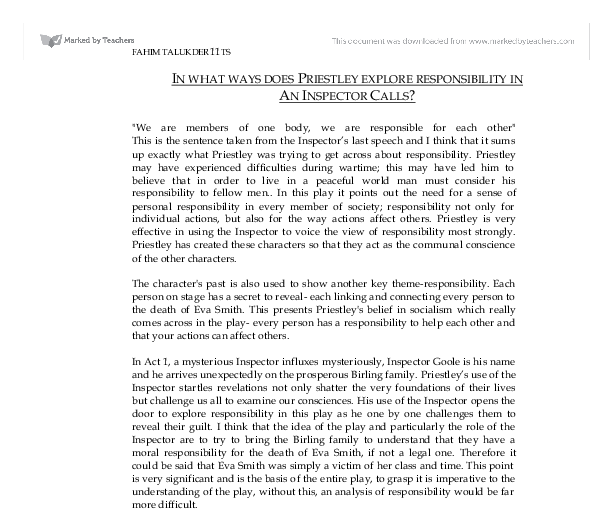 "We are members of one body, we are responsible for each other" This is the sentence taken from the Inspector's last speech and I think that it sums up exactly what Priestley was trying to get across about ... The character's past is also used to show another key theme-responsibility. ... Related GCSE J.B. Priestley essays.